Saubers season has got off to a poor start with even the team admitting they were too conservative with their initial design. For Barcelona the team have made a raft of changes that they hope will return them to challenging the rest of the midfield pack, with the reduction of around 15kg's of weight from the chassis being perhaps the largest. 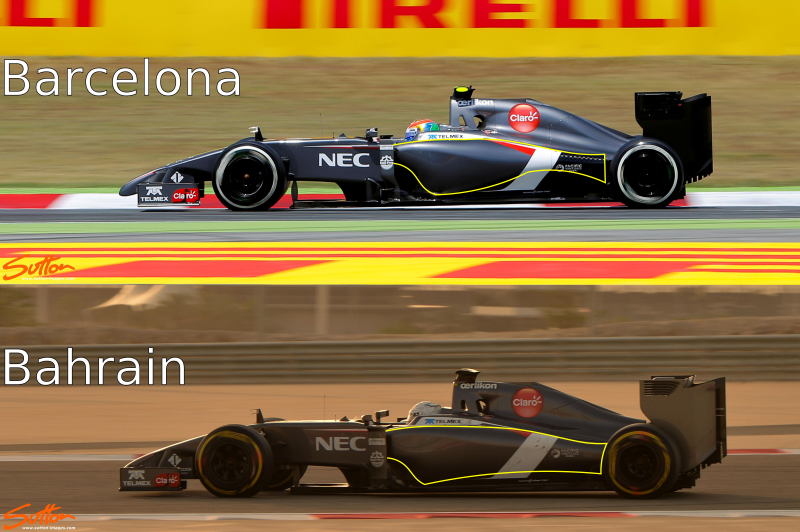 Perhaps the largest upgrade for the C33 in Barcelona was the teams change of sidepod bodywork, from inlet to outlet the profile has been amended whilst the vortex and conditioning elements surrounding it also saw revision. Starting at the inlet you'll note that the boxy outside edge has been replaced with a much more curved surface inline with what the rest of the field sports. This of course reshapes the sidepods undercut making it essential to get the flow of air that passes around it right. 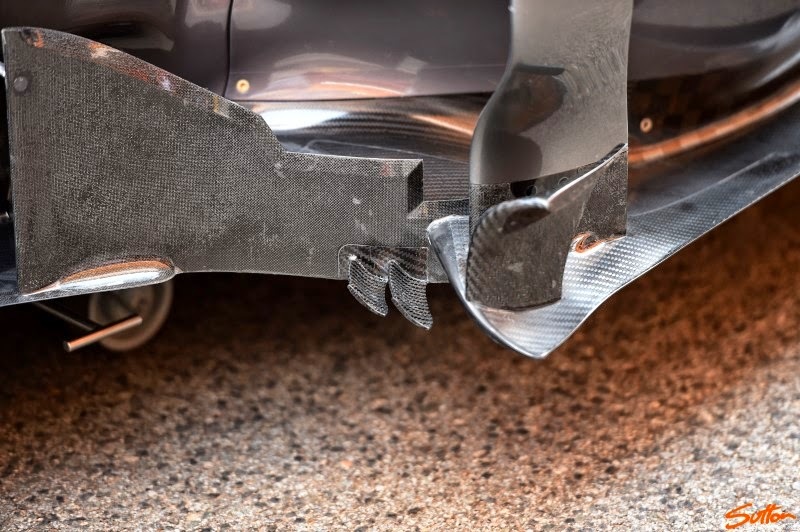 To enable this we can see the team have revised the bargeboard, adding a couple of vortex generating winglets to the trailing edge of it, added an 'r' cascade winglet on the periphery of the floor and re-sculpted the airflow conditioners. The side view confirms a higher waisted undercut at the rear of the sidepod sees both the hot air from the sidepods leaving the outlets at a higher point whilst also allowing the increased flow coming around the sidepods frontal undercut to conclude in a tighter packaged coke bottle region.